When we were looking for the perfect location for our second London showroom, it was really important to us that the area we chose reflected the style of what we do. We were determined to find the right ‘fit’. It didn’t take us long to decide that the vibrancy and design style of Notting Hill makes it the ideal base for McCarron and Co and we quickly fell in love with the area and everything it has to offer. Since we arrived in Notting Hill in March 2016, we’ve quickly found a wealth of interiors shops, luxury brands, galleries and restaurants, all within a stone’s throw of our own showroom on Westbourne Grove. We can highly recommend any of these like-minded businesses to any one visiting the area and so we’ve put together a quick guide to some of our favourites. Westbourne Grove is an excellent base for anyone interested in home décor or considering a renovation or refurbishment project. Starting (of course!) with us at McCarron and Co (102 Westbourne Grove, W2 5RU). 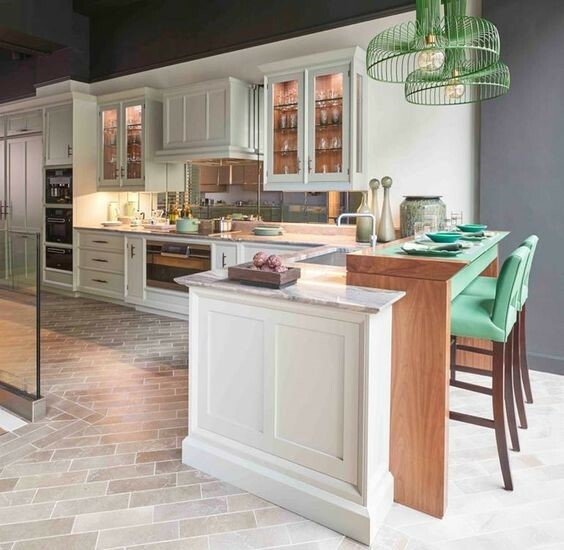 Our showroom has two floors of striking interior design bespoke furniture displays and showcases a selection of our handmade designer kitchens. These feature ultra high-quality appliances by brands such as Gaggenau, Miele and Sub Zero, a media room and even a wine room. Our designers are always on hand to offer design advice, so why not start your shopping in Westbourne Grove with a coffee (compliments of McCarron and Company) from our Wolf espresso machine. 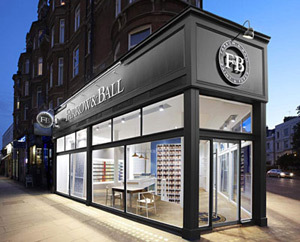 Next on our list is Farrow & Ball (Chepstow Corner, 21-22 Chepstow Pl, London W2 4XE ). This is a must for anyone wanting advice or inspiration on selecting paint. The helpful and friendly staff are always on hand to offer help on picking the perfect colour – which can be a daunting prospect. The high levels of pigment and rich resin binder give Farrow & Ball paint their distinctive colour-depth and make the brand so popular with professional interior designers. We also love the unrivalled palette of 132 paint colours. Just along the road, the renowned luxury bathroom supplier Devon & Devon (77 Westbourne Grove, London W2 4UL) has a stunning showroom. Here, you’ll find a showcase of their unique and stylish products in signature classic-contemporary style, with a nod towards Art Deco. A little further on, the equally impressive C.P. Hart (223 Westbourne Park Rd, London W11 1EB) is not to be missed if you’re looking for luxury bathroom inspiration. Their stunning showroom offers a wealth of displays and a wide range of products, and even offers a Hansgrohe working shower area and the opportunity to create your own moodboard during a touch screen consultation with one of the specialist sales consultants. 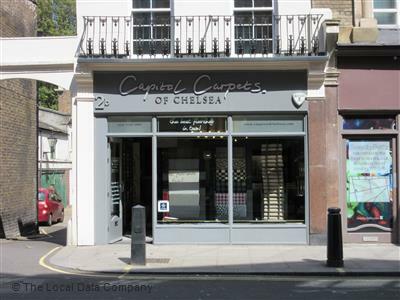 Capitol Carpets (2B Chepstow Rd, London W2 5BH) is the place to head for a superb selection of luxury flooring. Their products range from thick and luxurious silk-style carpets to colourful contemporary runners. There is a huge choice and something to suit every style. 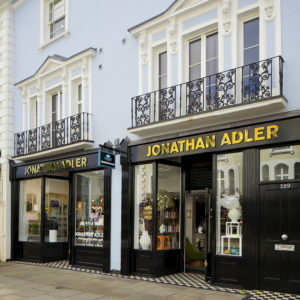 And finally, don’t miss Jonathan Adler (287-289 Westbourne Grove, London W11 2QA). The renowned New York-based designer and interiors guru has opened a second UK store (in addition to his Chelsea branch). This stylish Notting Hill boutique offers a wide collection of home accessories, furniture, lighting, rugs and more, all capturing his signature playful sense of style. 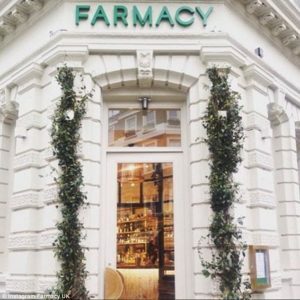 And if you need to unwind after a hard day’s shopping, why not head to Farmacy (74 Westbourne Grove, London W2 5SH), the newly-opened, plant-based restaurant which focuses on ‘clean indulgence’. Here you can recuperate with delicious offerings such as the vegan Farmacy Burger or the spelt sourdough pizza with roasted veg and macadamia cheese. Finish with one of an irresistible dessert such as the lemon cheesecake bowl or Austrian Sacher cake with tigernut-milk Nice Cream and then head to their Alchemy Bar for a delicious and inventive cocktail. Just what the doctor ordered!